EXHIBITION ON SCREEN, the pioneering series of cinematic films about exhibitions, galleries and artists returns for a sixth season with Degas: Passion for Perfection, in cinemas across Australia from 6 June 2019. Directed by David Bickerstaff, the film journeys from a superb exhibition at The Fitzwilliam Museum in Cambridge, where the UK’s most extensive Degas collection is held, to Paris and Italy, where Degas spent his formative years and taught himself to paint. DEGAS : PASSION FOR PERFECTION offers a unique insight into Degas’ personal and creative life, looking at his relationship with the impressionist movement, fascination with dance, and struggle with his eyesight, which in time would prevent him from making art altogether. 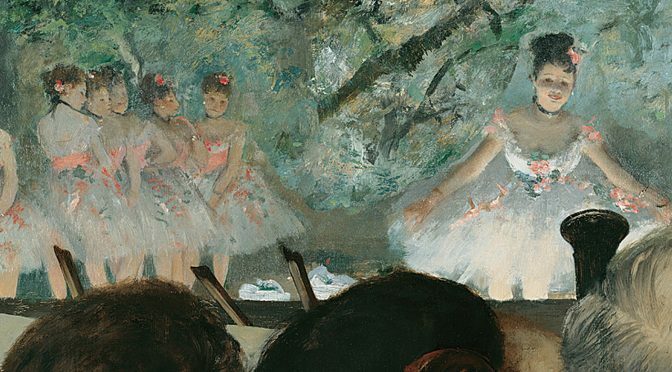 Throughout the film Degas’ search for excellence is made clear through multiple iterations of compositions and obsessive reworking of artworks, sometimes even asking for paintings back from buyers to continue working on them. Jane Munro, Keeper of Paintings at The Fitzwilliam Museum, says: “Degas was more interested in process than the end result”.